If you're not 100% satisfied for any reason, contact us within 30 days for a full refund. No questions asked. Q: How does the 30 day risk-free trial work? A: Once you've purchased a premium membership, you have 30 days to evaluate if its right for you. 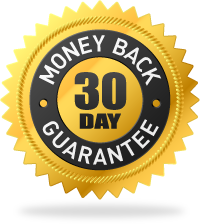 If for any reason you are not satisfied, simply contact us within 30 days of purchase and we will issue you a full refund, no questions asked. A: If you are a brand new member, you will be asked to enter an email address and choose a password when you sign up. Once your membership has been processed, simply log in to our site and the Members Area menu will appear. You can access the Premium Analysis, Trade Ideas, Chartbook and even contact JC all from that menu. Q: Is my membership automatically renewed? A: Yes, every period (either quarterly or annually) your membership renews automatically. If you wish to stop the auto renewal, simply contact us and we will cancel your membership after the end of the current period.